Making your baby’s world as safe as you can is part of being a parent. The safest place for your baby to sleep or nap is in a crib, cradle or bassinet that meets current safety regulations. A crib can be used until there is a possibility that the child could climb out or when he is taller than 90 cm (35 in). A cradle is safe until your baby can push up on his hands & knees or has reached the manufacturer’s recommended weight limit. A bassinet can be used until he can roll over or has reached the manufacturer’s recommended weight limit. 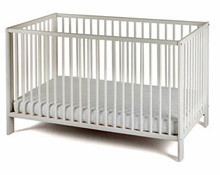 Make sure the crib, cradle or bassinet bars are no more than 6 cm (23/8 in) apart. Remove mobiles and toy bars when baby begins to push up on her hands and knees. There comes a time when you have to move your toddler to their new bed. Making the move to a toddler bed is a big one, and there are definitely some factors to keep in mind before doing so. Remember, no longer being in a crib means that your child now has easy access to his room and the house in a way he never had before. That would make any child a little curious! Before making the big move to a toddler bed, keep the following safety concerns in mind. Your child doesn't have to leave his room to get into trouble - he’s probably tempted enough as it is right in his very own space. Make sure you safely remove any toys or objects that could break or are a potential choking hazard before you put your child to sleep. Also do a quick sweep of the floor to remove anything that could trip up your child if he does get out of bed in the dark. Room-sharing means you sleep in the same room as your baby, put your baby in his own crib, cradle, or bassinet. Room-sharing helps protect your baby from SIDS. Room-sharing keeps your baby close without the risks of bed-sharing. Share a room, not a bed. When you are in the same room, it is easier to learn and respond to your baby’s cues. This helps keep your baby safe, and builds a strong bond between you and your baby.